Have you ever encountered this striking blue bird called Steller’s Jay? It is always so much fun to tell you these little stories and subtle inspirations behind my designs! 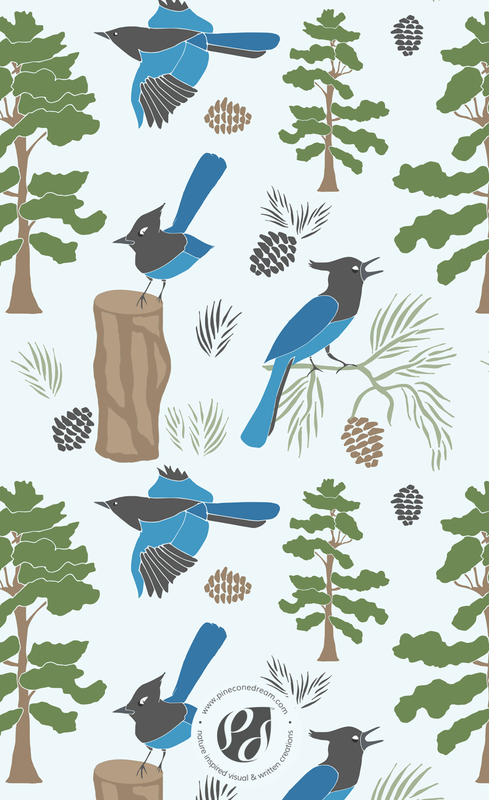 This design is obviously inspired by the bird found in Sierra Nevada mountains, named – Steller’s Jay, also known as Pine Jay! As one would expect, they are related to the Blue Jay birds. But why are they called “Steller’s Jay”? Hmmm, quick research and I found out that the bird is named after the German naturalist Georg Wilhelm Steller, the first European to record them in 1741. While hiking the high Sierra trails this summer, I had noticed this bird everywhere. Always perched on the high canopies of tall pines and sometimes walking, while making these funny little jumps, on the forest floor. So I decided to let the beautiful bird inspire one of my illustrated designs instead! 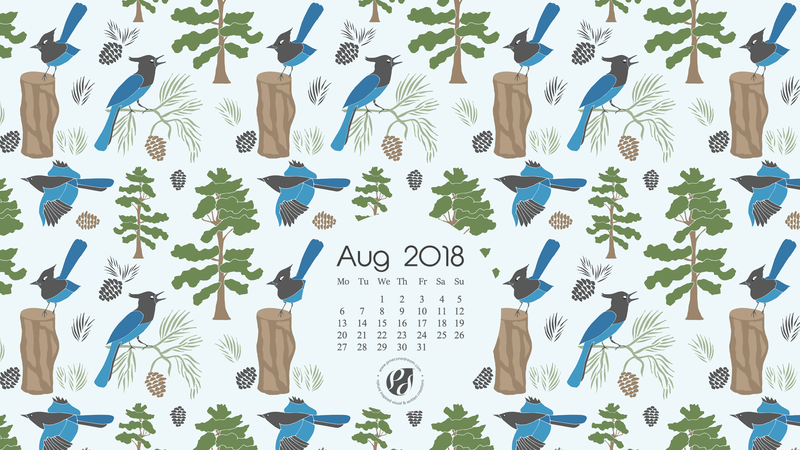 Bringing together the beautiful pine needles, my beloved pinecones, and the Steller’s Jay, I then illustrated this seamless surface pattern design.